The day was October 30, 2006. The dark and chill of the changing seasons only added weight to one of the worst days of my life. A few minutes earlier, I sat next to my father as his doctor delivered devastating news: “The cancer is back, and it looks like it has spread.” It was one of those days that changes the entire direction of life. Things would never be the same. Thus began my father’s journey home. 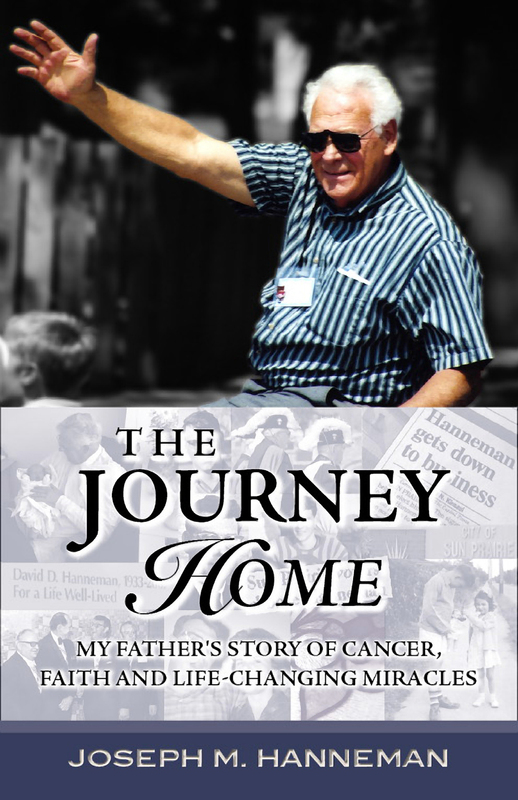 The book is a moving tribute to the value of a life lived by deep faith. Those first days I saw only fear and tragedy facing 73-year-old David D. Hanneman – my Dad. I just wanted to make it all go away. No cancer, no sadness, no suffering. God, however, had His own plan for my Dad. He had a purpose. And he had a message for us all. Dad carried a very heavy cross in the coming months, through hospitalizations, blood transfusions and chemotherapy. His steps often faltered, but he kept on walking. It wasn’t until late in his journey that I fully realized there was more going on here. He was being led. Dad’s final day with us was one of miracles. During his final hour, he left us a very special message. The book is available on Amazon.com. If you know someone battling cancer who could use some hope and inspiration, please contact me. You can view a gallery of photographs related to the book over at Zenfolio.